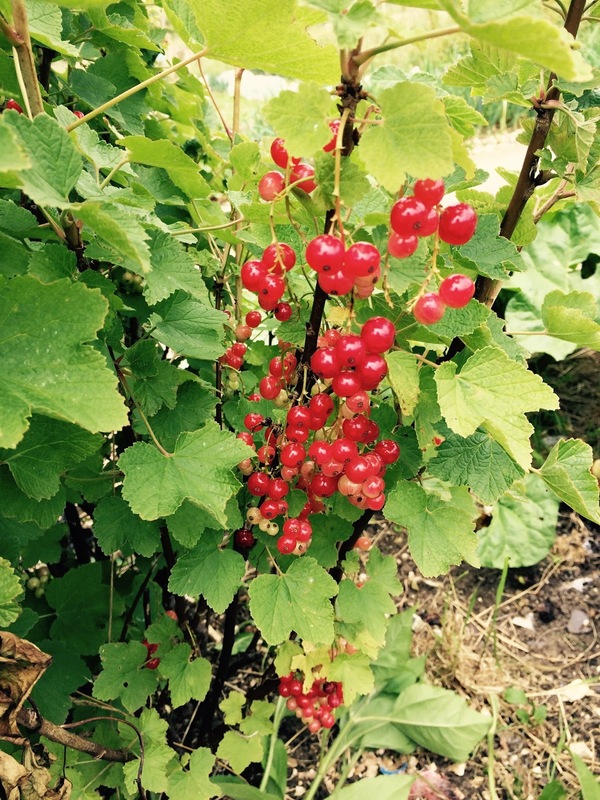 We had a very heavy crop of black currants and red currants this year and a reasonable harvest of raspberries, so were busy in September with jam making as well as experimenting with Blackcurrant vodka. I used to first kilo of black currants for straightforward blackcurrant jelly. Put black currants and 700mls water in a stainless saucepan and simmer gently for one hour. Mash with wooden spoon. Allow to cool a little then put in a jelly bag and leave to strain for 1-2 hours. Do not squeeze the bag, otherwise the jelly will be cloudy. Set aside the juice and return the pulp to the pan with 300mls of water and simmer for half an hour. Return to jelly bag and leave to strain, without squeezing for an hour. Mix the resulting juice with the earlier juice that you have set aside and measure. Put juice in clean pan, warm gently and then and add sugar stirring until the sugar has dissolved. The general rule which my mother used (pre-metric) for most jellies and jams is 1 to 1 i.e 1lb sugar to 1 pint of liquid. For 600mls/1 pint juice I add 450g/1lb sugar. When the sugar has dissolved, bring rapidly to the boil and keep boiling until you can get a set. Test by dropping half a teaspoon of the mixture on a cold, dry plate. If a skin forms you have reached setting point. This usually takes no more than ten minutes as blackcurrants are high in pectin. Skim off any scum and then pour jelly into sterilised jars and seal immediately. 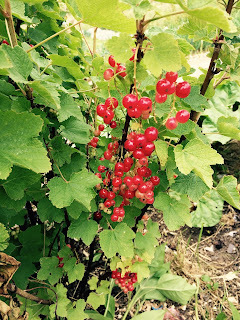 Less water is required with redcurrants than black currants and even less with raspberries - some recipes use no added water. This recipe provides a firm jelly suitable for serving with lamb or game dishes. Basically the method is the same as for black currant jelly but I note that some chefs, including Delia, boil the fruit with the sugar and then strain through a jelly bag. I followed the same procedure that I used for black currant jelly (as above) but with one exception. Unlike blackcurrant jelly, I discarded the pulp after the first straining and did not reboil. When setting point is reached, stir in the port, leave to cool a little then pour into sterilised jars and seal immediately. The proportions of red currants to raspberries will depend on what you have available – if you don’t have quite enough, either adjust the water accordingly or you can always add some apples to bulk it out. Follow the red currant jelly recipe as above, but omit the port. This preserve is excellent on toast for breakfast or with afternoon tea.